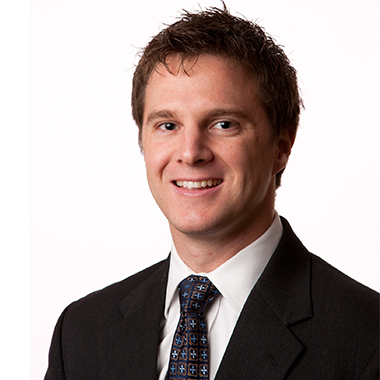 Jared Meier , an associate with Baker Botts LLP in Houston, typically advises clients on corporate tax matters, including mergers, acquisitions and separations. But he recently took on a very different kind of case – when he represented a family from El Salvador through KIND. Can you tell us about your experience with KIND and the case you worked on? A KIND attorney came to my firm and gave a lunch presentation and overview of the organization. Hearing some of the stories really resonated with me, given the struggles a lot of these kids have to go through and the tough situations they’re in. That very afternoon, I volunteered to take on a case involving a family from El Salvador – a mother and three daughters, the youngest of whom was 9 at the time. Their father wasn’t in the picture and had a history of abuse. The mother had moved to Houston to work and send money home about 10 years earlier. The girls were living with their grandparents in a small town in El Salvador. Research, including a report KIND released in June, shows that gang-based sexual and gender-based violence is widespread in El Salvador and across Central America. My clients witnessed this first hand, and things got especially bad in late 2013. The family started getting letters from one of the gangs asking for money and threatening the girls’ safety. The letters got darker and darker – they said they knew the father wasn’t around, where the girls went to school, etc. The family didn’t think going to the police would be effective. So, in summer 2014, they decided they should go to Houston to be with their mother. She made the arrangements, and they actually took a raft across the Rio Grande. Did they make it to Houston? Not at first. The girls were detained after they crossed the border and bounced around several detention centers before they were eventually released into their mother’s custody. The family came to my office and spoke to me through my secretary at the time, who spoke Spanish – though the youngest of the daughters spoke English pretty well. We met a couple times over the next two months, and two of the girls were already in removal proceedings. I prepared materials that were needed in state court to qualify them for Special Immigrant Juvenile Status, which was the best route for relief. A judge eventually signed an order stating that because the girls had been abandoned by their father in El Salvador, it was in their best interest to stay here in the United States. Now, all three of them have permanent legal immigrant status. It was fortunate that it all came together, of course. Before the case, I knew El Salvador was a rough place, but I didn’t have any concept of how dangerous it really was until I met this family. If you and KIND hadn’t become involved, where would the family be now? My best guess is two of the sisters would be in removal proceedings, and maybe already gone. They’d be back in El Salvador hiding out. Now, they’re all living in Houston, and doing well. I’m still in touch with them about once a month – the two oldest daughters are working and the youngest is 12 and in school. She’s thriving and learning more and more English. I’m grateful I had the opportunity to guide them through a system that’s hopelessly complex – and to develop a friendship with them. I usually work for big companies, but to have the chance to really look out for individuals and make an impact in their lives was rewarding. I’m a tax lawyer, so I had limited experience filing motions and working in courtrooms. In other words, this was a big departure for me on a professional level, but KIND was always there to help when I needed it. A KIND lawyer came with me to the state court hearing and helped quite a bit when we had to appeal the rejection of Special Immigrant Juvenile Status for the oldest daughter. Personally, getting to know this family really made me feel lucky for the things I have. Based on where I was born, I’ve had so many opportunities that a lot of people don’t – and this experience drove that point home. The experience also has reinforced to me that lawyers – who have the legal training and ability to help others – really have an obligation to do so.